Unfortunately I have had numerous students who have had to deal with stalkers. Sometimes they are violent, sometimes just a nuisance, but they almost always disrupt your life in some way. Dealing with a stalker is not an easy task, and may involve more time and energy than you think it should. (As an aside, we have a great Escape and Evasion course offered - check here to see if one is on the calendar) Lets dig into some of the specifics of how to handle this. The first thing I usually ask: is this person known to be dangerous? When presented with a stalker I want to know if I'm dealing with someone who has already been violent. If someone has been violent in the past, I 100% expect they can be again in the future. If they have not, I assume that they could be, but that we may have a little time on our hands. Based on their history we can start to build a background on what types of actions are most likely to happen in the future. Once we start painting a picture of their history, I want to know more about them and relationship they have to the victim. Everything is on the table, but a background on someone starts to fill in the missing pieces. The next thing I want to know is the victims immediate circumstances. Where do they live? Where do they work? How much free cash do they have? Do they have safe people in their circle? Do they have a safe place to go? Are they armed? What plans have they already made? The questions about the victim tell me about their state of mind, their personal circumstance, and how much of a safety net they have to fall back on. The type and detail of the plans they have made tell me if they are taking this serious or not. In many cases (most actually) people do not take stalkers nearly serious enough. When someone is stalking you, and is dedicated to it, a tremendous amount of their time and resources are dedicated to the effort. It is something that is clearly important to them. If you are the subject of the stalking, you should keep that in mind before dismissing it as just someone who is seeking attention. They have already put their lives on hold to pursue you, threaten you, and interrupt your life. You should take their threats seriously. Here are some good tips I've developed over the years. Imagine that you get a call - "You cannot go home and you need to be hard to find. NOW!" What would you do? That is the mindset you need to have when thinking about how to deal with a stalker. When you think about everything through that lens it changes everything. The comfortable life and luxuries you have now can suddenly be removed for an undetermined about of time. Create distance! The more dangerous and disruptive the stalker, the further you may need to go. The safest place to be is not anywhere in the vicinity of the stalker. Where would you go if you needed a safe place. A family members home may be a good short term option, but if your stalker knows your family they will look there first. Have a backup family member or friend to stay with. Alternative housing/hoteling is a good option if you can afford it. How will you survive financially? This is where a safety net comes in very handy. You may need some financial assistance in the short term. I recommend keep at least $100 on your person (more if you can swing it) for emergencies. Document every interaction with your stalker. It can be used as evidence to support your case against them should it end up in court. Arm yourself. You might want a taser or some other non-lethal weapon, or even a firearm. The degree to which you arm yourself will depend on the perceived level of violence and your ability to use it. Have a bag of essentials. Sometimes referred to as a "bug out bag" or a "go bag", this is a bag of essential items that will help you survive for a short period of time should you find yourself needing to be on the move immediately. Create a police report. The police can't help if they don't know you are in trouble. Even if you just file a police report, at least the paper trail is officially started and will be reference point should anything escalate. If you need a restraining or protective order, I suggest you file one as soon as possible. This will also let the stalker know that you are serious about stopping them and that the authorities know about them. If you are successful in getting one, and the stalker violates it, there can be very real and serious consequences. This sounds a bit cliche, but it is all too often true. We get comfortable with who and what is around us. We fall into routines, eat at the same place, work at the same place, and generally have a very similar schedule on a daily basis. You should be very mindful as you move through life, especially when you are being stalked. I tell students to be "prepared, not paranoid." Sometimes I hear that this is a huge amount of effort for some, when in reality it's just being conscientious of the goings on around you, and especially who is doing them. Being on the lookout for suspicious people, vehicles and situations should be a common practice anyway, and is a must when you are being stalked. As I mentioned earlier, many people do not take their situation as seriously as they should. Just because someone is stalking you does not mean they will be taken to jail or otherwise stopped through legal instruments. When I tell people this they seem to be taken completely off guard, not understanding that even though a stalker is bothering you it may not elevate to the level of legal enforcement. Many times people can't understand why their stalker just doesn't stop stalking. In some instances I simply recommend that people relocate to another part of the country, even if temporarily. Given the seriousness of some situations, your life is more important than what you might lose by staying. I tell people that they aren't running, just starting a new chapter in their lives. 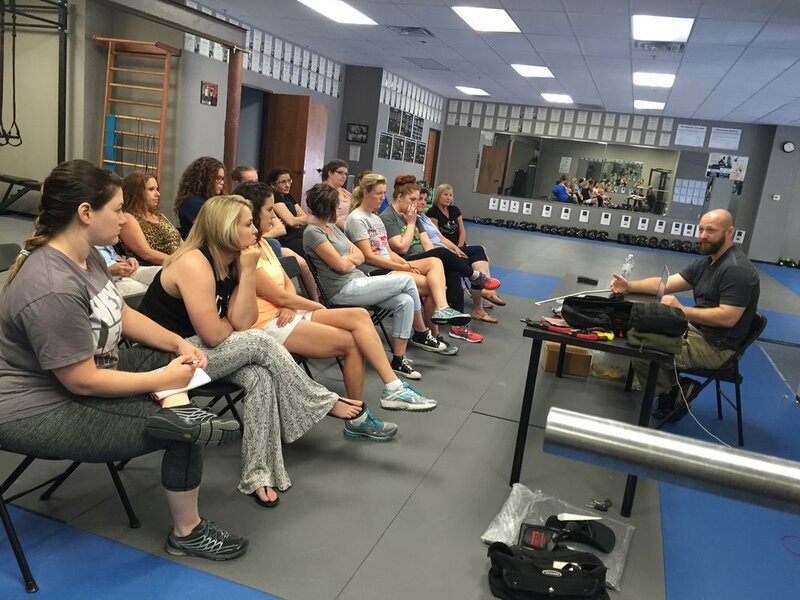 Students attending one of our Escape and Evasion courses.